The post 12 Days of Personalization appeared first on Bound. Happy Holidays and Merry Christmas! Our gift to you this holiday season is an example of how you can easily build up your personalization strategy. Our Customer Success Managers work hand in hand with new clients to create a personalization plan that allows them to start with quick wins and then expand their content, although here we’ve fast-tracked what normally might happen over a few weeks or months. Instead of the 12 Days of Christmas, we present to you the 12 Days of Personalization. Create a local versus non-local homepage hero as the first thing we do. To separate our key markets with geo-specific homepage hero text. An A/B test to see which hero image was the most rad. With a different call to action for visitors coming in through an ad. We decided to start working on a fly-in too. A fly-in on high-bounce pages to stop visitors from wanting to depart. A fly-in for repeat visitors pointing to our visitor guide. We tried different visitor guide forms to see which converted best. An email fly-in so that visitors who downloaded the guide had a next step. We showed abandonment content for people who clicked and didn’t convert. To see if the mobile hero performed better when the text was short. With a timed hotel deals fly-in to get more people to come stay. Interested in learning more after the New Year? 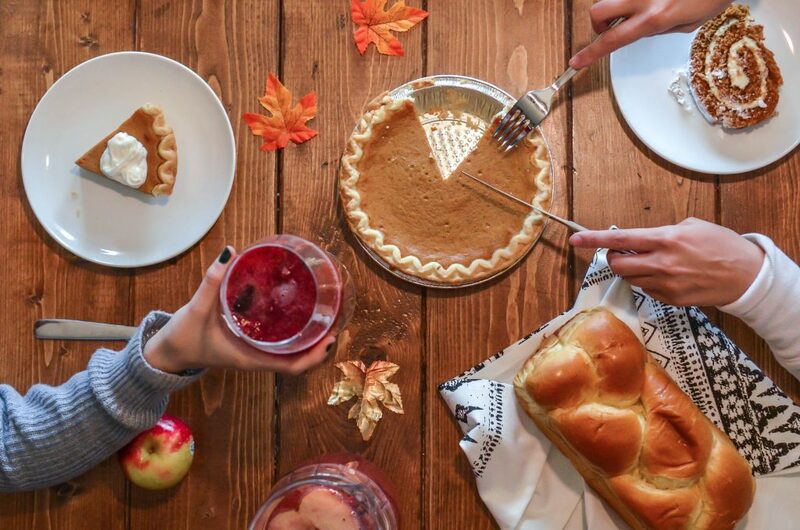 The post Why Personalization Matters As Explained By Your Thanksgiving Feast appeared first on Bound. The post Images and Stories Inspire Us to Travel appeared first on Bound. “With UGC it’s not just us telling you to use our hashtag; it’s us saying there’s another traveler who stood in the exact same spot you’re standing in right now, and telling their travel story with a level of authenticity we just can’t provide on our own,” said Will Crockett, Online Content Manager at Tupelo CVB. The post What Marketing Performance You Should Expect from Your E-Newsletter Sign Up appeared first on Bound. 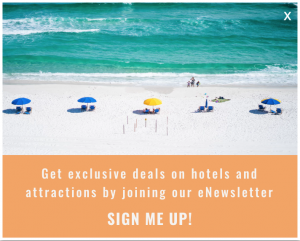 Across our many Travel & Tourism customers, e-newsletter sign up is a key website metric because it builds a destination’s email list and creates a connection with potential visitors. It enables you to maintain an ongoing – albeit long-distance – relationship with a potential visitor to your destination. Smart destination marketers message these two groups differently. Consider offering them a call to action or reason for signing up that aligns with their interest. Think of this as their ‘why’. Why should they give you their contact information? What’s in it for them? If they are in-market, focus on upcoming events content that is shared in the e-newsletter. If they are out-of-market, focus on the long-term reasons to stay in touch with your destination. What performance should you expect from your own e-newsletter sign up? If we look across our customers’ sites for visitors who do not receive personalized messages (non-targeted visitors), we see an average of .12% conversion rate on e-newsletter sign up. Conversion rate is calculated by dividing the total number of non-targeted visitors on site who sign up for an e-newsletter by the total number of non-targeted site visitors. If we look across our customers’ visitors who see a personalized call to action related to their interests, we see an average of .42% conversion rate on e-newsletter sign up. Conversion rate is calculated by dividing the total number of targeted visitors on site who sign up for an e-newsletter by the total number targeted of site visitors. How do we see e-newsletter sign up done really well? Visit Sarasota uses simple, but powerful, personalization to drive engagement with this key goal. Sarasota County, Florida — an award winning Gulf Coast beach destination with a thriving arts and cultural scene — encourages website visitors to sign up for their e-newsletter during their initial visit to the destination’s website. 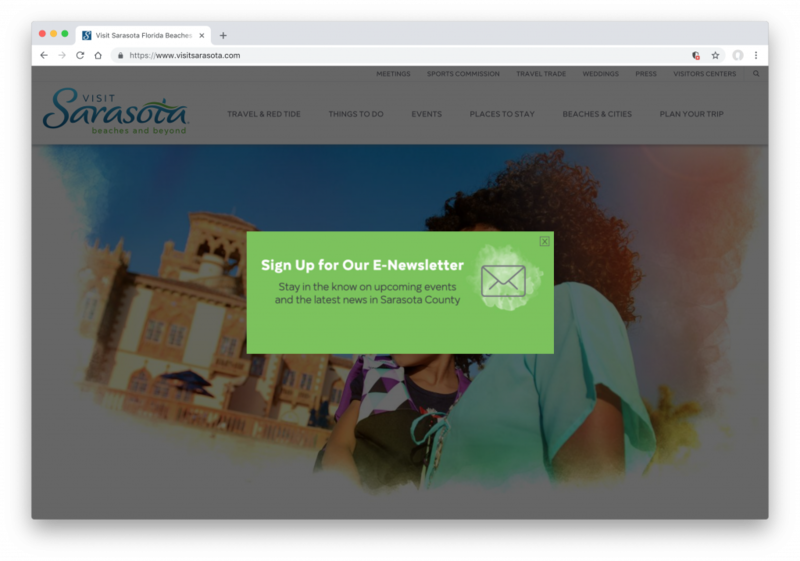 If they don’t sign up today, Sarasota’s personalization waits two weeks and asks again when the visitor returns to the site. With support from their agency, Miles Partnership, Visit Sarasota introduced their e-newsletter pop up in January of this year. Within six months, this personalization campaign drove over 8,000 new subscribers — increasing the size of their email list by more than 250% as compared to the previous year. 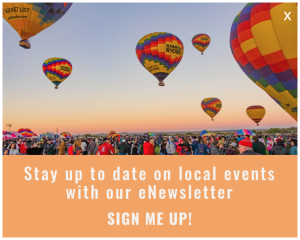 With increased subscribers, Visit Sarasota shares upcoming events, sponsored places to stay, and unique local attractions on a monthly basis. In our next post, we’ll take a look at how e-newsletter sign up compares with visitors guide download. We’ll discuss as a call to action and where each is used most effectively. The post B2B Digital Marketing Strategy Survey Results appeared first on Bound. Our most recent email series introduced a step-by-step approach to website personalization strategy. The strategy series outlined the five elements of a successful strategy: Solutions, Segmentation, Targeting, Tactics, and Optimization inspired by the Website Personalization Strategy eBook. In each email, we asked our B2B marketing subscribers one question about their digital marketing strategy. Let’s take a look at what you all had to say. What is your #1 marketing challenge? 50% of marketers surveyed answered “Not enough qualified leads.” This echoes the most common goal that our customers seek to solve with personalization. Are you segmenting your website audience for anonymous visitors? Only half of respondents are segmenting for anonymous visitors—that means the other half are ignoring 95% of their audience. How are you targeting with paid media? A significant 86% of marketers surveyed said they are targeting their paid media based on buying role or persona attributes. It would be seamless for the majority of B2B marketers to mirror this persona-based experience on their website. Where are your buyers abandoning their journey? 30% of respondents don’t know where buyers are abandoning their journey and 60% know they’re dropping out of the journey in the Consideration and Decision phases. There is an urgent need for responsive nurture throughout the buyer’s journey. On average, how often do you review your digital campaigns? Over half of the marketers surveyed review their digital campaigns weekly. All of your digital campaigns drive to your website. How often are you reviewing and optimizing your website strategy? Get the definitive guide to a successful website personalization strategy in the Website Personalization Strategy eBook. If you’d like to receive our email communications, join the newsletter!